It seems that I have been a bit outdated in updating my blog. So many stuff to update, but just so little time. Sometimes, it's just a compromise between updating blog or baking. Finally found sometime to update on what I have baked for the past few days. The bakes are not in chronological order! 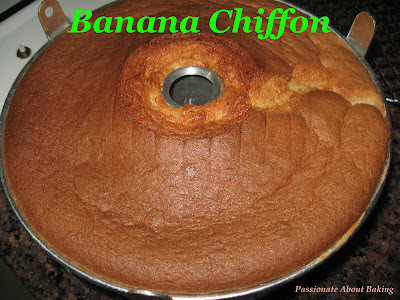 Banana Chiffon Cake. After a successful attempt on Kevin's recipe, I tried it again, but this time, I reduced by two egg yolks and the chiffon is really soft & nice! 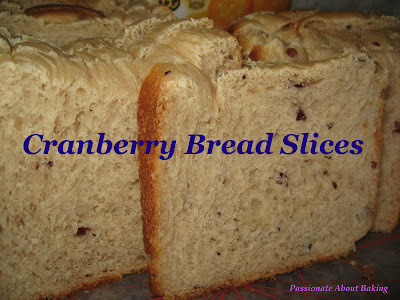 Cranberry Bread Loaves. I modified this from Alex Goh's recipe. However, it wasn't very soft. Therefore, I shall not post any recipe here. 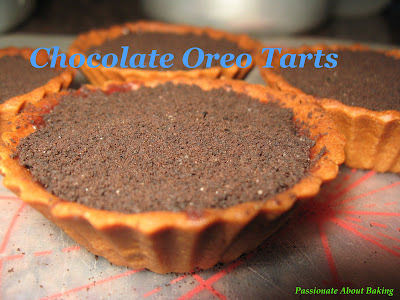 Chocolate Oreo Tarts. I layered this tart with chocolate, then crushed oreo, then chocolate again & finally crushed oreo. 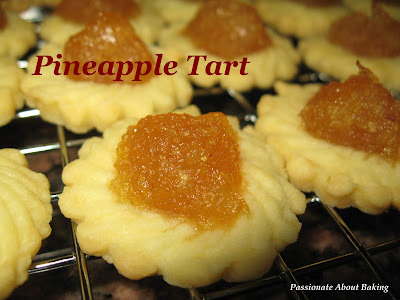 Pineapple Tarts. 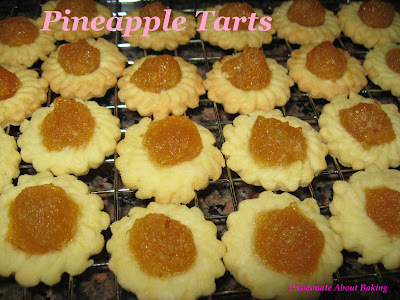 I baked these tarts with the ready-made dough & pineapple fillings from Gina's Pineapple Tart workshop the day before. The pineapple fillings is very fragrant & moist. The crust is however, a bit crispy. I would have much prefer the melt-in-the-mouth kind. But generally, the taste is great. I could just pop a few at one go! 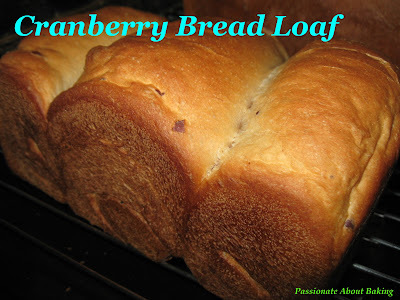 The recipe can be found at KC forum. You really bake a lot! I couldn't imagine how did you manage to do all this baking. You are super women! 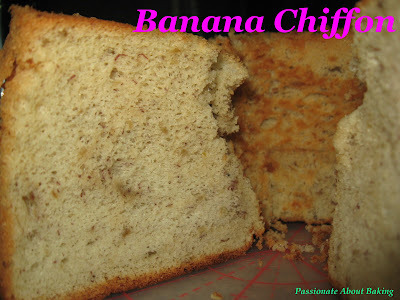 I love your banana chiffon, Iit raise very high and looks yummy! The pineapple tart looks pretty too! 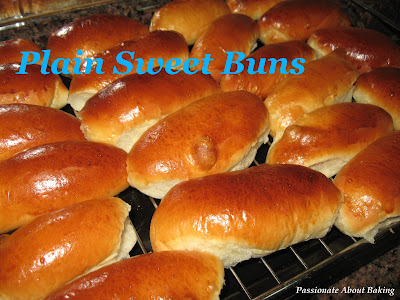 And also the sweet bun, how I wish can have a bite of each one of them. Those are baked over a few days lah! I not so "garang" leh, can bake so many things in one day! Unless I have commerical sized ovens! Heehee...Actually the sweet bun is normal sweet dough bun recipe. Then you just put those japanese mayo and coat them with pork floss & they taste YUMMILYIOUS! Heehee...I will post up the banana chiffon recipe soon. It's worth trying for this though. :) Enjoy your new year! 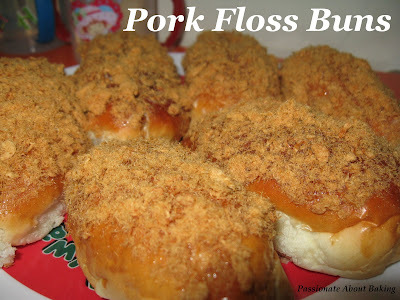 The pork floss buns look exactly like the ones sold at Breadtalk. Thanks for yr blog... it give some idea what to do with my newly bought but yet to open japanese mayo!